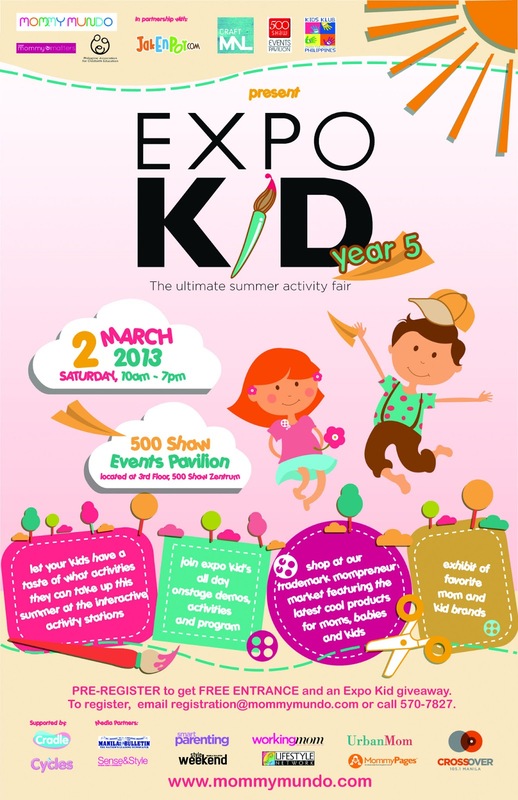 The Ultimate Summer Activity Fair— Mommy Mundo’s Expo Kid 5, a prelude to summer, will happen on March 2, 2013 (Saturday). This first kick-off event of Mommy Mundo for 2013 showcases tons of options of activities, for a productive & fun summer for kids of all ages. 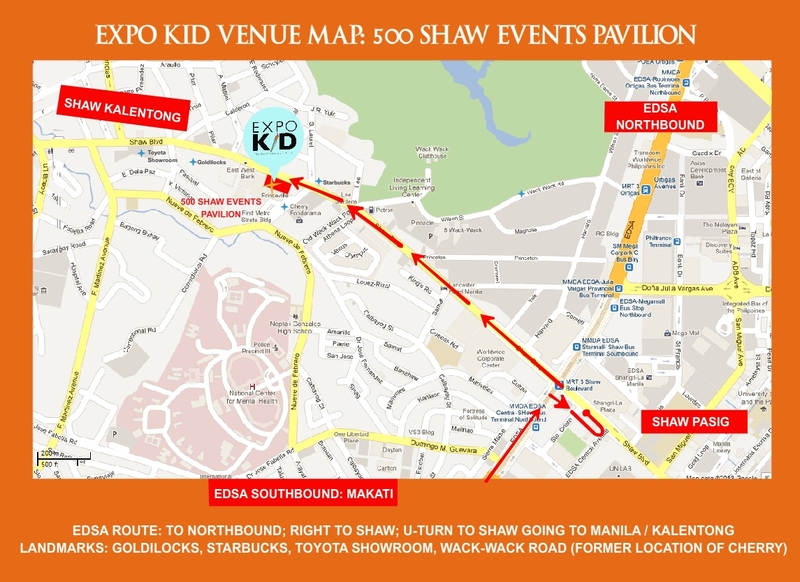 This year’s Expo Kid will be held at the 500 Shaw Events Pavilion, home of Kids Klub which has become a destination in kids’ extra curricular activities. 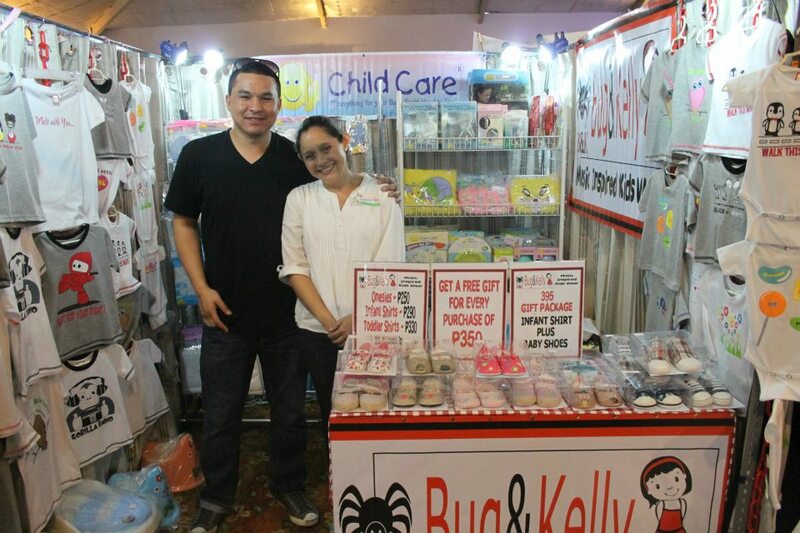 As another school year draws to a close, Mommy Mundo, together with its partners Jakenpoy.com, Craft MNL, our venue partner 500 Shaw Events Pavilion, and our valued sponsors and exhibitors, we invite all moms and dads to bring their kids to Expo Kid 2013 to gather up ideas for possible summer activities. “We all know that summer is a time of fun, but it can also be a productive time when we allow our children to discover their talents, meet new friends, and learn new hobbies, outside the school setting. It is a time of building happy memories that go with childhood. 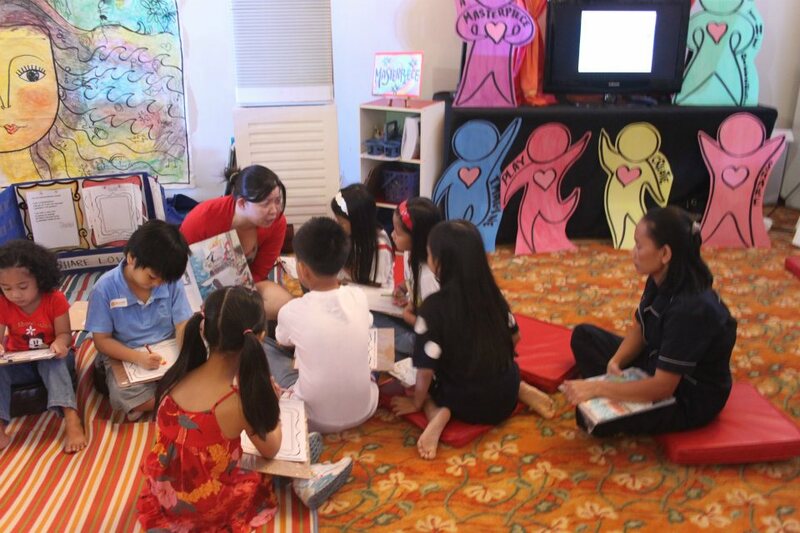 These can be achieves by choosing the right summer classes for them.” says Janice Crisostomo Villanueva, founder of Mommy Mundo. 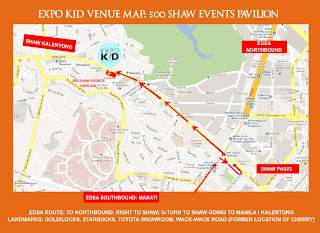 Expo Kid 2013 will feature major interactive activity areas for kids where they can try out crafting stations from Craft MNL, check out the fun learning modules on Jakenpoy.com, music, arts and sports activities from Kids Klub as well as Crayola. There are more booths from other activity providers from all over Metro Manila, as well as a shopping bazaar which is Mommy Mundo’s trademark mompreneur market featuring more than 40+ booths onsite. Talented performances and demos from Kids Klub such as Julie Borromeo Performing Arts, New York Musical Theater Lab by Miguel Braganza, My Talent by Audie Gemora, the Philippine Gymnastics Academy, Taekwondo by Coach Donnie Geisler, Mathemagis - Singapore Math, KidzArt, Aikido, and Kindermusik by Teacher Suzette & Friends. Followed by informative talks for moms courtesy of the Learning Basket and Wonderworld Toys: Celebrating your child's milestones. Fun and educational demos will be facilitated by Jakenpoy.com and CRAFT MNL featuring screen printing Demonstration and Heritage Craft. Expo Kid 2013 is set to be a kids’ haven and a memorable welcome to summer. This event is produced by Mommy Mundo, the go-to resource for active and modern moms. Co-presented by PACE, Mommy Matters. In partnership with Jackenpoy.com, CRAFT MNL, Crayola& Kids Klub with the participation 500 Shaw Events Pavilion as our venue partner. Supported by Cycles&Cradle, Parteiziet and Crystal Clear. Media partners, Manila Bulletin, Sense & Style, Smart Parenting, the Style Weekend, Working Mom, Lifestyle Network, Urban Mom, www.mommypages.com.ph and Crossover 105.1 FM. For more info on Mommy Mundo events, sign up for the mailing list at www.mommymundo.com, like Mommy Mundo on Facebook) or email info@mommymundo.com.